This week in AWS Startup Stories* we talked to Tessa Cook, CEO, and co-founder of OLIO Exchange – a food sharing app that builds connections between neighbours and local businesses in order to re-distribute surplus goods. OLIO started as a simple experiment between twelve people, but today it’s a global brand that’s growing at pace. They piloted the app in the second half of 2015, made it available across the UK at the end of January 2016, and worldwide in October 2016. Since then they’ve had over 170k users sign up and over 210k items (equivalent to 90,000 meals) have been shared. Demand for this surplus food is incredibly high with 40% of items being requested in less than an hour, and 80% in less than 24 hours. Users simply snap a picture of their items and add them to OLIO. Neighbours then receive customised alerts and can request anything that takes their fancy. Pick-up takes place – often the same day – at the home, store, an OLIO Drop Box, or another agreed location. Items typically found on the app include food nearing its use-by date from shops, cafes and markets; spare vegetables from the allotment; cakes from an amateur baker; or groceries from household fridges when people go away, move home or start a diet. All the food on OLIO is either available for free, or for a ‘pay as you feel’ donation to charity. OLIO also has a non-food section on the app which is used to share household [items] such as toiletries, cosmetics, light bulbs, cleaning products, books, toys, and clothes. So here is what we learned from Tessa about taking your idea to market. Before launching OLIO, Tessa & Saasha (her Co-Founder) had to be certain people would engage with a solution to the problem of food waste. But even after weeks of heavy desk research, they couldn’t find many examples of them doing so. Instead of backing out, they decided to run a simple experiment in which they designed a short survey asking members of the public how the problem of food waste made them feel. Surprisingly, one in three people described themselves as feeling “physically pained”. It was a simple piece of research, but enough to prove that OLIO was addressing a real pain point and had a viable target audience. The next step for Tessa was to find out whether people would engage with her product. Instead of committing to launch right away, she decided to test her idea on a pre-existing social platform to minimize the risk. She invited 12 of the survey participants who’d described themselves as “physically pained” into a WhatsApp group. For two weeks they could exchange surplus food items with one another, and provide feedback on the experience. The experiment turned out to be a huge success, with users requesting that an OLIO product be launched as soon as possible. By taking advantage of a free, pre-existing platform, Tessa had all the proof she needed that the market wanted OLIO. Once OLIO was launched, things didn’t always run smoothly. Within weeks users started to exchange non-food items like household goods, books and clothing, detracting from the original business model. At first Tessa and her team tried to put a stop to it, but they quickly realised the user activity was an opportunity in disguise: OLIO users were passionate about the product, but not all of them had surplus food to give away. But if the business model was expanded to include other kinds of surplus items, they’d have much more opportunity to engage with the platform. Tessa decided to pivot: OLIO was transformed from a food sharing app to a platform for sharing other household items too. And not long after OLIO expanded, it was time to pivot the business model again. An imbalance was growing between supply and demand, and Tessa needed to find new sources of supply – fast. She decided to reach out to local supermarkets, offering to pick up stock leftover at the end of the day through the help of OLIO volunteers. Soon after the OLIO “Food Waste Heroes” program was born, and big names like Sainsbury’s and Morrisons were getting on board. Through pivoting the OLIO model to incorporate other businesses, Tessa had a convenient solution to her problem of supply, with powerful new brand connections as a bonus. When OLIO started out, the decision was made not to monetize right away. That way, Tessa could expand the OLIO user base as quickly as possible. 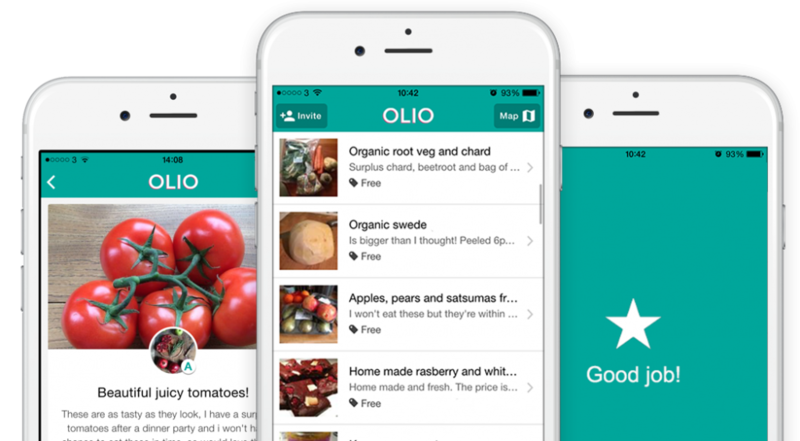 But by the time the Food Waste Heroes program was launched, it was clear that OLIO should get back some of the value it was offering users. First, Tessa decided to add an in-app CTA for user donations. Later, as the Food Waste Heroes programme started to scale she needed to offset the costs of that with the retailers. And soon she is planning to offer paid-for premium features for “super users.” By introducing monetization features gradually, Tessa and her team minimized the risk of losing users. There’s always an element of risk when taking an idea to market. To minimize that, take inspiration from OLIO. Conduct the right market research so you know you’ve got a large enough audience for your product. Build a smart prototype that gives you a clear vision of the user experience without commitment. Know how and when to pivot your business model to meet evolving demands. And finally, devise the right monetization strategy so you retain a good number of users and return a healthy amount of revenue in the meantime. That’s what OLIO did, and that’s why it’s the successful global brand we see today. You can listen to the podcast with Tessa here. If you are interested to see how OLIO is using AWS, subscribe to the podcast here and get access to the cheat sheet to find out more! 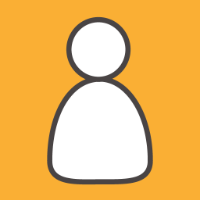 There you’ll also find some further reading and resources around optimising your costs on AWS – something key for a social startup like OLIO. *What is AWS Startup Stories? AWS Startup Stories is a business series of podcasts published on the AWS Podcast channel that showcases startups running on AWS companies with innovative ideas. Heroes of each business talk about how they overcame challenges and used technology to solve problems, providing tips for companies facing similar issues. Learn more about the series and who’s part of them on the webpage here.